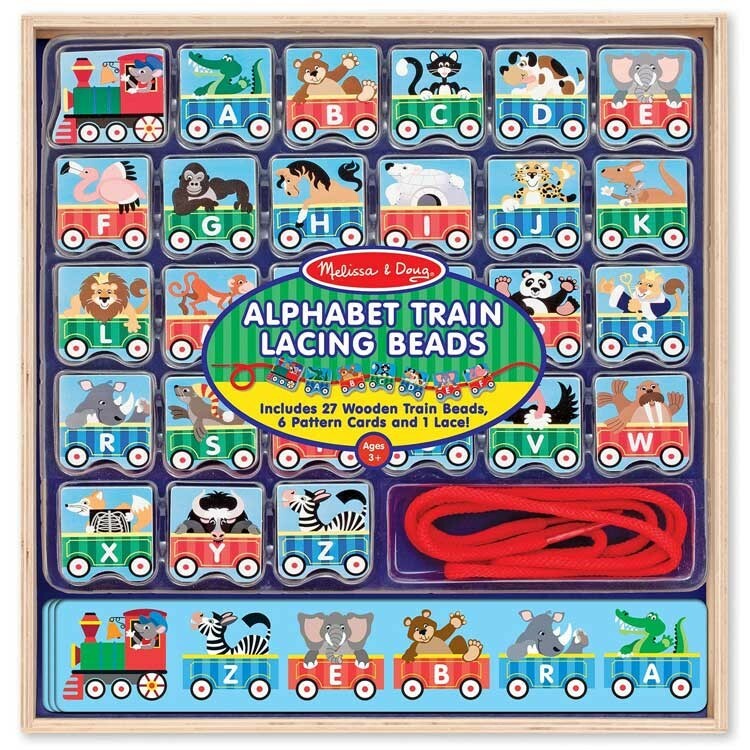 This Alphabet Train Lacing Beads set is a manipulative activity toy, alphabet teaching puzzle, first reading toy, and animal train play set - all in one box! 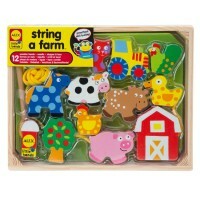 Let's choo-choo to early reading with this new Melissa & Doug's educational toy! 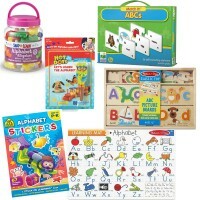 Alphabet Train Lacing Beads Learning Activity Toy is a manipulative activity toy, alphabet teaching puzzle, first reading toy, and animal train play set - all in one box! This alphabet learning activity toy brings 27 chunky wooden beads each featuring a train car with a friendly animal and a starting letter for that picture. 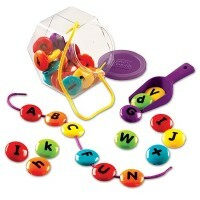 The lacing alphabet beads are double-sided having letters and words on the back. 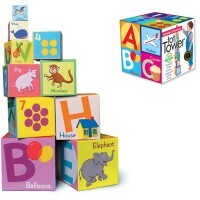 The alphabet blocks are lacing beads to build a letter train necklace. 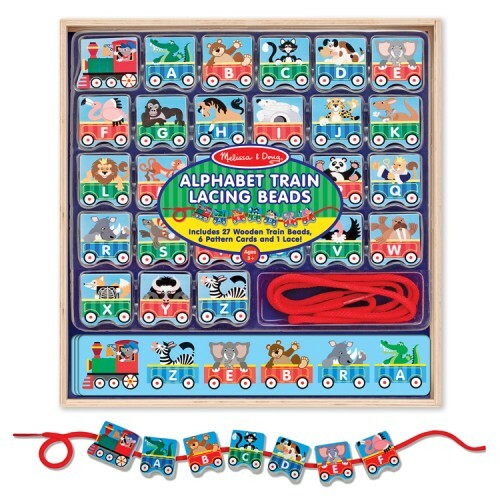 Alphabet Train Lacing Beads Learning Activity Toy includes a long lace, and 6 double-sided spelling cards, presenting first animal words. 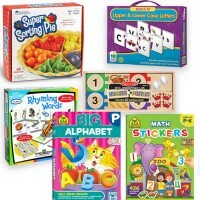 This multiple function and multiFUN learning set from Educational Toys Planet teaches letter recognition, logical thinking, motor skills in a form of lacing activity or pretend game. 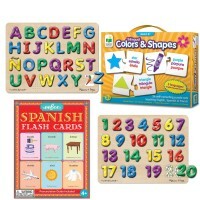 This letter learning toy will help your child to make their first step toward reading and bring the whole crew of colorfully illustrated animals to do that! 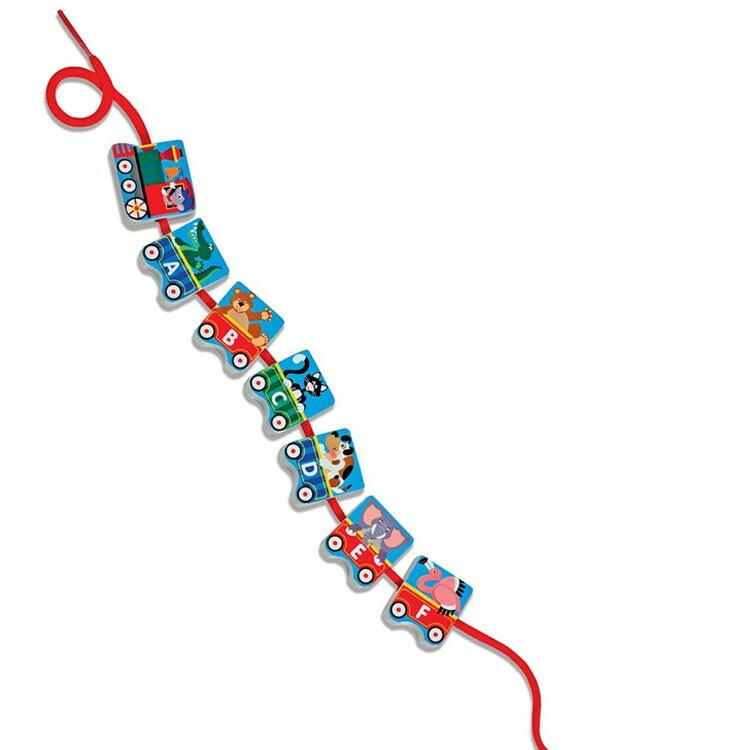 Who is driving in 'W' car? Walrus! 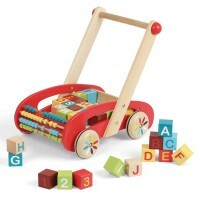 Who is 'K' car? Kangaroo! 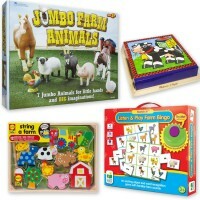 Sort, lace, play and learn! 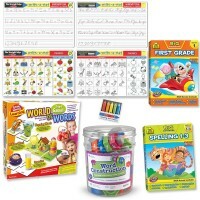 Dimensions of package 2" x 12" x 12"
Write your own review of Alphabet Train Lacing Beads Learning Activity Toy.